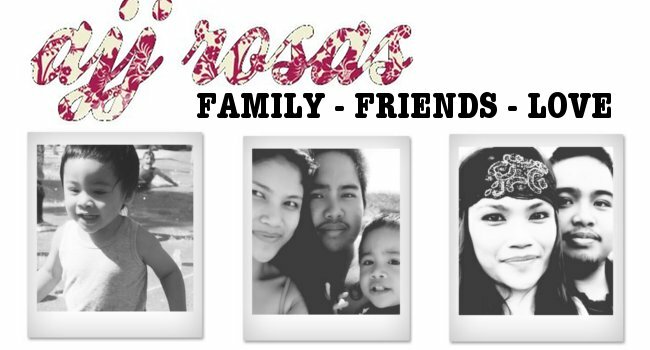 ajj rosas: PABLO TWINS' 21ST. Last night, we celebrated the Pablo twins Stacee & Kaecee's 21st birthday with dinner and a night out clubbing, both held at Home Bar along Cockle Bay Wharf. We all got ready in the afternoon to leave early for our 6:30pm reservation. While getting ready, we had jelly shots made by Stacee and ended up being all rushed at the last minute because we took too long to get ready lol. We ended up running to the station to make it in time for the train, which we just did & ended up having the rest of jelly shots on the train. When we got to the restaurant, we were still waiting for more people to arrive, so we just had drinks. I got given drinks by everyone, either because they didn't want it or just because I didn't have a drink in my hand (lol thanks Timmy & Angie). Before dinner was even served, I was already tipsy because I hadn't had anything during the day but coffee! so so bad! And when dinner was served, I was already sobered up lol. The food was really yummy though! I was so happy they served garden salad because I had been craving that for so long now & it was served with avocados! Loved it!! We didn't end up getting our dinner because the kitchen closed at 9pm but lucky we had birthday cake! Courtesy of Jess who got a nice Lindt Chocolate Cheesecake. It was soo delicious!! Afterwards, we just sat around the wharf taking photos and talking while waiting for the club to open since it opened at 10pm. Jeremy was also on his way over with his friends since they decided at the last minute to go out clubbing for our friend Lawrence's birthday (lucky I put them on the guestlist lol). Then when the club opened, Stacee & I just hung around the gate to assist the door person with the 'frees & guestlist' people. Lucky we were at the front because two of the boys (one of them being my good friend Lorence) weren't allowed in because of their hair style being a ratty/mullet but they were excused since it was a birthday & no one informed me about their attire regulations. Then when just about everyone we expected were inside, we headed in and started to party! I hardly saw Jeremy and the boys because they were all over the place lol. We ended up being the last people part of the party to leave last because the boys just didn't want to leave (lol) but it was okay cos we would've had to wait for the train even longer. So we left at around after 4am and then got food & water for the boys, made our way to the station & waited for the train. We didn't end up getting home until after 6:30am because we had to drop some of the boys off. Lucky they live really near by lol. I had to survive on 5h sleep because Jaiden got dropped off at 11:30am & stayed awake for good for the day. Even though I didn't drink as much as I usually do (since I always take advantage on night outs) I still had a blast! As with everyone else, I always have a blast when I'm with such good company! I am so so glad that the birthday girls had a blast too, especially Kaecee since it had been 1 whole year from her last clubbing attendance and that everything turned out perfect! (a few little dramas but not big enough to ruin their night). My good organisational skills came in handy and made my two sisters have an awesome 21st birthday celebration. HAPPY 21ST BIRTHDAY LADIES! I LOVE YOU BOTH HEAPS!!! Stacee's birthday outfit was my gift: Red velvet & satin dress from ASOS & Beige Therapy pumps. 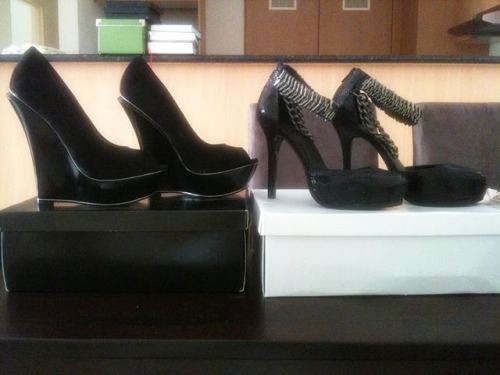 Kaecee's gift was: 'Pudding' Suede peep-toe wedges & 'Pashan' chain ankle platforms - both ASOS.